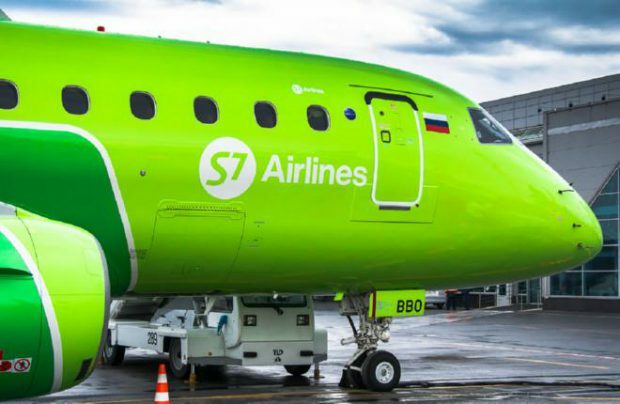 Russian carrier S7 Airlines launched commercial operation of its first Embraer E170LR regional jetliner (certified designation ERJ170-100 LR, with LR standing for “Long Range”) on April 29 this year. The new type debuted on a domestic flight, from S7’s Novosibirsk base to Tyumen. Engineering Holding will provide MRO services on the type. 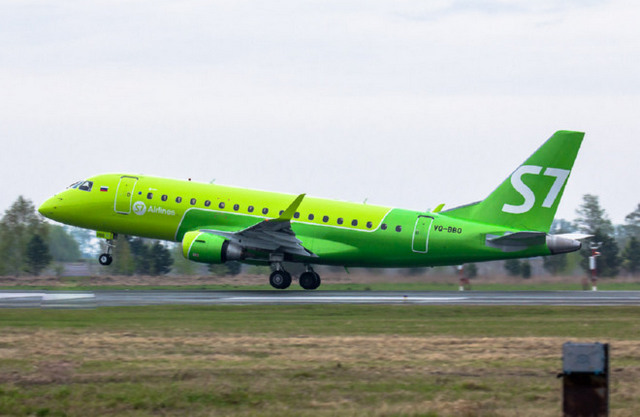 As of mid-June, S7 Airlines had three E170LRs in its fleet and was expecting to receive 14 more in the foreseeable future. The E170LRs, which seat 78 in a single-class layout, are to help the carrier in developing its network of regional and international flights both from European Russia and from east of the Urals. The manufacturer’s promotional leaflet describes the E170 as an indisputable leader in the 70- to 80-seat segment due to its excellent performance and operational efficiency. The leaflet also notes that the airliner’s “durable and efficient structure, impressive fuel economy, and excellent maintainability” guarantee maximum revenues to operators. The Flightradar24 online service indicates that last week the carrier’s E170LRs flew from Novosibirsk to such destinations as Tyumen and Yekaterinburg (Russia); Osh (Kyrgyzstan); Almaty, Chimkent, and Ust-Kamenogorsk (Kazakhstan). They also served routes between St. Petersburg and Kaliningrad, Moscow (Domodedovo), Bryansk, Kaluga, Berlin, and other destinations. In other words, S7’s E170 network already covers more than a dozen destinations both in Russia and abroad. S7 is the first Russian ERJ170 operator (the type certificate was validated in the country in October 2016). This makes the company the pioneer in maintaining continued airworthiness of this new airliner in the Russian commercial aviation sector. S7’s E170LRs will be serviced by Engineering Holing, which has two subsidiary MRO providers: S7 Engineering (based at Domodedovo and Mineralnye Vody airports) and Sibir Technics (located at Novosibirsk’s Tolmachevo airport). The E170LR has become the seventh aircraft type for which Engineering holds maintenance approvals. The MRO workload will be evenly divided between its two operations. Sibir Technics will be responsible for base maintenance, whereas S7 Engineering will take care of light maintenance, up to and including A-checks. By the time S7 Airlines took delivery of its first E170LR, Sibir Technics and S7 Engineering had secured relevant extensions to their EASA Part 145 and OTAR 145 certificates to cover the new type. Sibir Technics will provide limited E170LR line maintenance support to S7 under its OTAR 39 certificate. If needed, the MRO providers will consider launching line outstations in different regions to provide for further development of the operator’s E170LR route network. Well before the airline received its first E170LR, Embraer provided Engineering Holding with 24/7 access to all of its remote aftersales support services. Engineering’s two MRO providers have already set up parts depots and pools of consumables. S7 Engineering’s aviation training center also provides ERJ170 training to ground technicians under an EASA Part 147 certificate. At present, Engineering Holding is certified to perform a full range of line maintenance services on the E170LR up to and including 3A-checks. The Embraers S7 Airlines is receiving have recently undergone C-checks at a foreign MRO specialist. Thir next periodic maintenance, due in a year or so, will be performed by Sibir Tecnics. Kravchenko confirms that the Novosibirsk-based provider is prepared to offer a full range of maintenance services on the Brazilian-made jets.